Houston is the fourth largest city in the United States and encompasses an area almost twice as large as its three closest competitors. With more Fortune 500 companies based there than any other American city, Houston’s economic weight cannot be understated. Its status on the world stage as a leader in oil and natural gas only adds to Houston’s imposing influence, and all of this makes it an exceedingly popular destination for private jet travelers. With (IAH) George Bush Intercontinental Airport as its main aviation hub, landing in Houston puts jet travelers conveniently close to the bustling downtown and business districts. 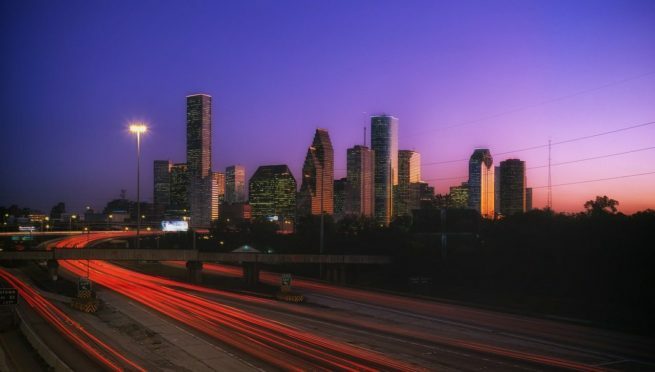 Book a private jet to Houston, TX and let our team handle everything from the in-flight catering to the ground transportation and helicopter lift once you land. Wyvern certified, our Houston Private Jet Charter team uses only FAR Part 135 or 121 (or foreign equivalent) aircraft to meet client needs. By going the extra mile, we endow our clients with a sense of security seldom found elsewhere; read on for more information about how our air charters can make your business or pleasure trip to Houston the best one yet. Interested in flying in or out of the Dallas/Fort Worth area? Check out our Dallas Private Jet Charter service! For more detailed information regarding local airports and FBO’s in Houston, please see our Private Airports page. You can also request a free quote for an empty leg flight for any of your upcoming trips. Request a Quote or give us a call at 1-888-987-5387 to speak with one of our Jet Charter Houston service brokers for your next luxury vacation, business trip, or special event in Texas.